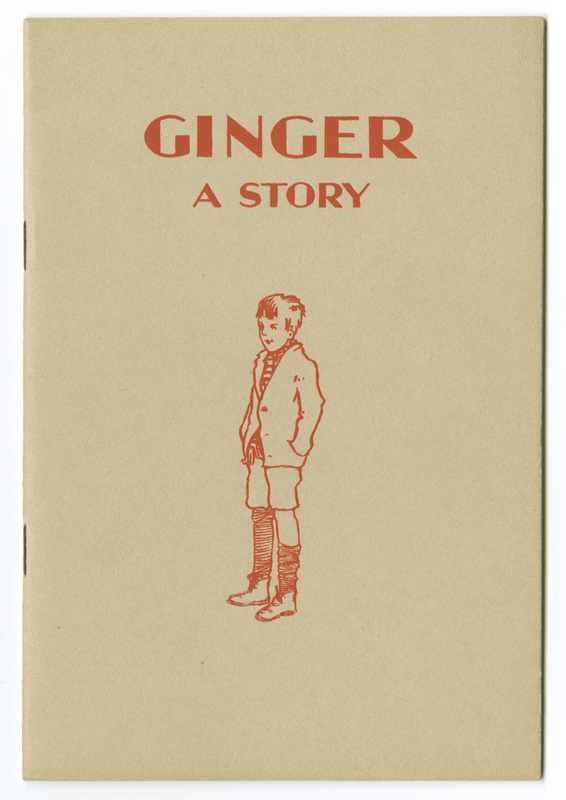 Ginger, A Story (MS 466 F/5) was an imaginary tale was written to promote the work done by the Middlemore Emigration Homes for young children living in poverty. Ginger was an illegitimate boy living in the slums of Birmingham. His father had died in WW1 leaving his mother, who worked as a barmaid and then a cleaner, to support Ginger. They lived in the back-to-backs, small houses built around a communal courtyard; we learn that ‘the landlord provided three w.c.s and one tap for the 58 inhabitants . . . in summer the court smelt as only a slum court can smell’ (p.5). Living in the city meant that Ginger began to get into trouble, his mother unable to keep an eye on him, which resulted in appearances at the Children’s Court. Eventually it was decided to put Ginger into the Middlemore Homes, where ‘he was well fed and comfortable, and for the first time in his life he had a proper bath and slept alone in a bed’ (p.9). 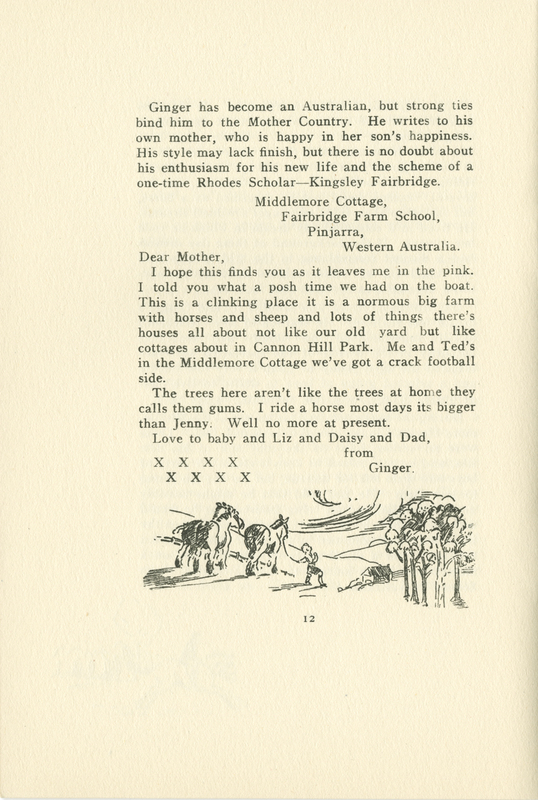 Ginger was then sent to Australia to live on a farm; the booklet ends with a letter sent by Ginger to his mother. Between 2009 and 2010 a small team, funded by the Heritage Lottery Fund and Birmingham City Council, set about creating a history and archive of Birmingham’s Council-run children’s homes between the years 1949 and 1990. Appointments to view material held by Birmingham Archives & Heritage can be made via email at: archives.appointments@birmingham.gov.uk or by telephone on 0121 303 2468.